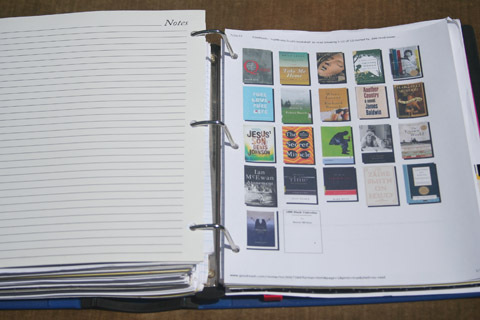 He recommended the binder format because “this will allow the writer to move materials easily from one section to another” and “the bound log or the spiral notebook…lack the versatility of the three-ring notebook.” Yes, Dr. Catron admitted, it’s cumbersome carrying the thing everywhere but “soon it will fit naturally under your arm.” Indeed that’s what I’ve found. 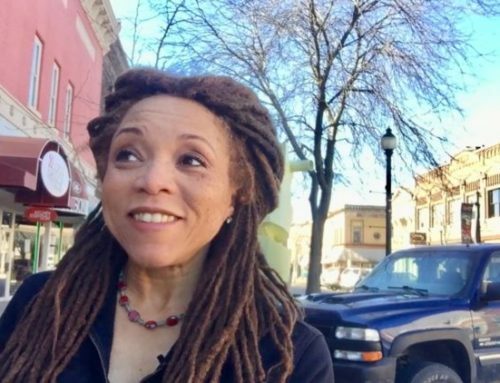 At VCFA, when I wasn’t writing in it, my journal was always under my arm or in my roomy red L.L. Bean messenger bag (which I purchased specifically because the journal fit into it). What’s in my writing journal? Everything, as you’ll soon see. It’s like my writing brain, warehousing both structured and random thoughts. If I’m ever stuck, the answer is in here. Do I need a bit of inspiration? It’s in my journal. It makes sense to me, and I think that’s the most any writer can ask of an important writing tool. So here, divider tab by divider tab, is what’s in my journal. Some of the categories were suggested by Dr. Catron and I’ve kept them. Others are my personal additions based on how I work. Let’s start with the cover: it features my name in big lettering, just in case I do leave it somewhere. I love this image of a violin. 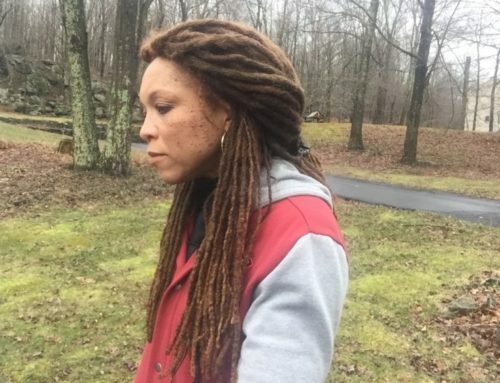 It’s my reminder that my writing is my music, and it’s what I sound like when I “sing.” Inside the front cover is my contact information and another inspiring image, this one of the dawn. It’s my cue to get up and write. Now for the tabs, which I’ll number. In Progress 1: This section features material from the novel I’m currently writing. It contains my outline, notes, photographs that remind me of my characters and yes, actual writing. 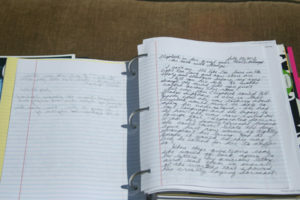 I’m still old school and while I do write on computer, I almost always begin on paper. In Progress 2: I’m revising a short story and its full manuscript is here. I also have notes in this section on the project that will replace the short story under this tab when the revision is done. Scenario: These are notes for my next major work. Dr. Catron was very much all about having the writing journal keep you forward thinking. Character Sketches: Here I put personality profiles for each of my characters. I’ll also write down ideas for characters I may create in the future. News Clippings: I have this habit from my days as a magazine journalist: I still clip articles or print up interesting stories I find online. Here you see a recent Wired magazine story that has inspired me to revise a character in my short story. Dialogue: Snippets of dialogue I hear in everyday life. VCFA: This tab houses everything from my most recent residency at the Vermont College of Fine Arts. My lecture notes are here as well as the semester study plan I created with my advisor. During the residency it also held all of the stories being workshopped in my section, each one eventually annotated and returned to its author. When the semester is over this material will be removed to its own binder to make room for the next residency. Situations: Interesting tidbits that have the potential to become full-blown stories. Quotes/Excerpts: Piece of writing (and sometimes images) from songs, poems, or prose I find inspiring. There’s some Regina Spektor here, also Bruce Springsteen, Walter Mosley and Rumi. Calendar: Each month I write out my goals and deadlines here. I also give myself star stickers each day as my reward for writing. Seriously. Notes from Self to Self: This section is for diary-like entries where I’m turning over situations in my mind or venting frustrations. To Read: Yes, my current reading list. I print this up from Goodreads where I maintain all of my book lists. Submissions: My spreadsheet of where I’ve sent stories for publication. VCFA Semester Work: In addition to my creative work, I also have to write critical essays and letters of progress. The notes and drafts for that work go here. In the back you’ll see my handy-dandy portable three-hole punch which I use for handouts or anything else not written on notebook paper. That’s my journal. Could I keep all of this information in a computer? Yes. Would that work? No. Things stored on a computer become out of sight, out of mind for me. My writing journal has its own table in my office and it’s always open to what I’m working on. Yesterday while cleaning house I had an idea for a piece of dialogue. I ran downstairs, wrote it into my open journal, then went back to my cleaning. I would not have booted up my computer for a few sentences and it’s possible I would have scribbled those words on the back of a random envelope and lost them. In that moment my journal did exactly what I needed it to do. It worked for me. What works for you? I’d love to hear about your writing journal and how you use it. I love this essay. It is remarkably helpful, coming from one who seriously needs organizational tools! Do you have more than one binder? 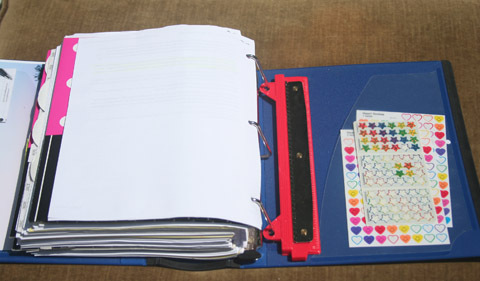 I can’t imagine how one binder could hold everything…. maybe they just expand and evolve? Good question. The current work takes up the most space but when it’s done I take it out so there’s room for the next project. When I complete the short story revision, for instance, those 25 pages will come out and get filed. When the current VCFA semester ends, all those pages (and there are a ton of them!) will come out and get their own binder on my bookshelf. The binder holding my first semester material is large, but not as big as my writing journal. 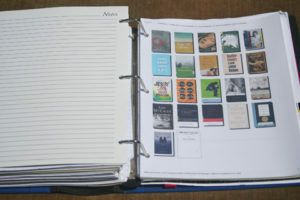 Remember, the writing journal binder is about current and future work. You want it to move you forward which is why you want it filled with energy and ideas. What’s your system? This is brilliant! (Heard about you via Women on Fire) Thanks for sharing! You’re welcome! I’m sorry I missed your comment before, it went into the spam queue. What’s your system for your work? All I can say is “Wow”. This probably would have worked for me the past twenty years since I collect physical snippets of articles, etc also. I’m currently trying to switch over to much more digital. I’m going to try a program called Scribner (or Scrivner) soon. I use the spirals and have more visual notebooks v. texts. But then again, I haven’t ever completed a project all the way, so that is saying something is broken with the past lack of system! I’m diligently working on discovering the solution to completion for me. So happy to discover you! Yes, there’s something to be said for keeping everything for one project in one place. Did you ever read Twyla Tharp’s book, The Creative Habit? 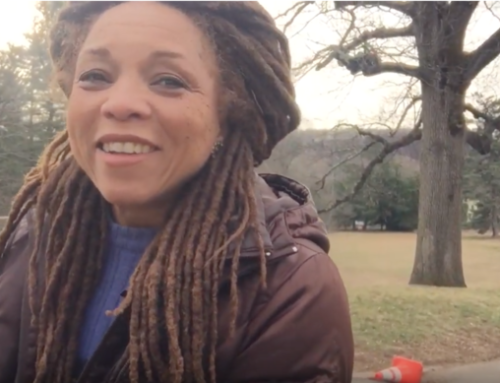 She talks about starting a box for each of her projects. She gets a regular filing box, labels it, and then puts everything pertaining to that project (clips, sketches, pieces of music) in the box. When she’s working on that project, she dives into the box. It’s interesting how many different systems are out there, but whatever helps you bring a project to completion is going to be the right one for you. Thanks for commenting! 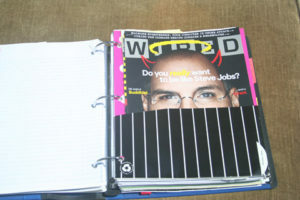 Love this idea of the big binder to carry around with you! 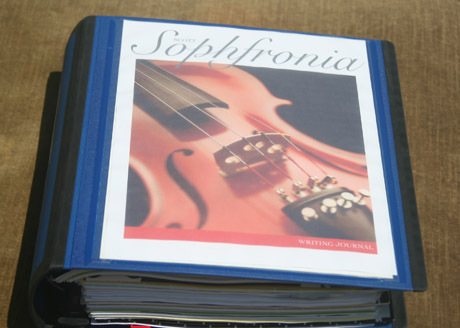 Very organized and inspiring…thanks for this post Sophfronia. 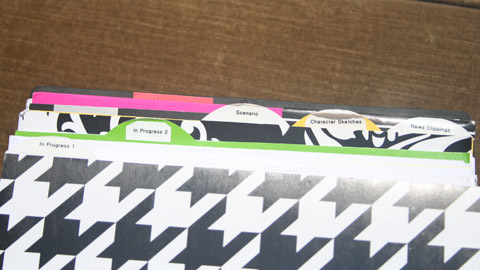 How do you organize your creative work?